My name is Hans Petter Strifeldt, and as you might have guessed, I’m a Norwegian. Since I started riding bikes around 1990, I have always been a great fan of riding in my home country. Sure, it is great fun to have a blast through Germany, enjoy a prosecco with motorcycle friends in Italy, get muddy and happy at the Dragon Rally in Wales, ride with an angle in the strong winds of the Shetlands, get amazed by the beauty of Scotland, find calmness in Sicily, and flatness in Denmark. But beyond the fact that I have not been everywhere on this planet, Norway is still on top of my list of places I like to ride. Its diversity in nature and weather, paired with great motorcycle roads, makes it in my view close to a motorcycle heaven. With more than 2500 kms from south to north, more than 100000 kms of coast line (2nd only to Canada in length, actually), and still many unexplored roads to find, I have plenty of places to go and things to see even if I live my day-to-day life here. Bike-wise I am a Guzzi-head, but also appreciate the finer qualities of light enduro bikes of Austrian and Japanese origin. I hope you enjoy the blog, and who knows – maybe we’ll see each other on the road somewhere? Need to contact me by email? You’ve convinced me, Hans. I will definitely make Norway my destination for this summer’s European trip. Thanks for all the good suggestions on this blog. They will help me a lot as I plan my trip. By the way — I am impressed with your command of the English language. As a man who takes great pride in using the language correctly myself, I think it is wonderful, in a sad sort of way, that someone from Norway can express himself so clearly in English, while so many of my fellow Americans, who grew up using the language, torture it to death. Hi Hans,enjoyed reading about Norway on your blog,i have visited about two years when i was on a cruise ship but its not the same. So impressed with what i did see that i am returning in june on my bike with an old friend of mine. We usually favour the hotter climates of Spain,italy etc but are looking forward to a total change of culture,scenery and weather. Hi Grant, good choice! It’s definitely something else than Spain and Italy for sure! Welcome! …and that would be on some 250 enduro I’d say. I want to be mostly camping, where this is possible, of course with most respect for my natural environment. It will be the first trip of this kind to me. Few weeks ago I planned going to south america, but shifted that to the future for a couple of reasons. 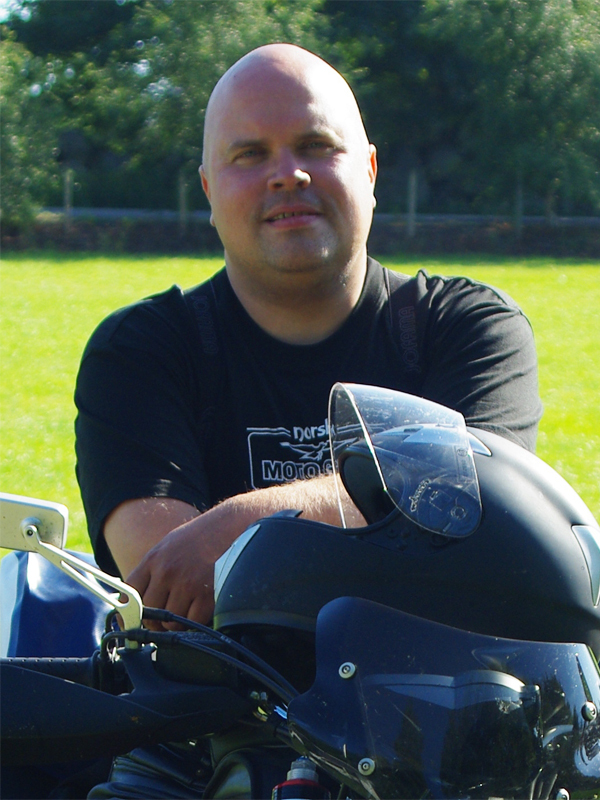 I come from Germany, thats where I usually live, but since I finished my bachelor studies last year I often change place and I am not resident anywhere, up to this point without motorcycle however. Before I get to master studies, maybe in october, I want to travel through nature by motorcycle. For some reasons it would be very unpractical to become resident in Germany again before I go on with my studies, so at this point my main problem is to somehow legally buy, register, and insure a bike without being a resident anywhere. Looks like it could be possible in UK or Ireland. I contacted someone through the HUBB and hope for a positive reply. Do you think it could work out in a scandinavian country? Hi Ettore, thanks for your posting! I am not sure how easy it would be to buy a bike for your purpose in Scandinavia, but I can check if you will. Otherwise, I suspect that the UK or Ireland would be far cheaper. Nature-wise, it’s hard to beat Norway. Let me know what you are looking for, and I’d be happy to recommend trips and routes that may suit your wishes. Anyway: Welcome to Norway, whenever you’d choose to come! Hi Hans! And thanks for your friendly reply! Due to organizational tasks I couldn’t get back to you earlier. In any case it would be interesting to know about the situation in the scandinavian countries if you can find out. But I also don’t expect it to be convenient/cheep…it’ll probably be easier to get the bike somewhere else. It’s really about experiencing the nature for me. It’ not even necessarily on a motorbike, also by feet or cycling. But this time I thought to give it a try with a motorcycle, also of course, I could see much more. I like altitudes, being on mountains/hills, or see them from the valley. I also like huge water scenes, like the sea for example (fjords, lakes). And when I can combine both (water, altitudes) it’s best. Generally I have a tendency to simple, ‘dry’ (in a sense), rather ‘stoney’ (or dusty) than ‘planty’ environment and sceneries. With rather less wildlife/insects. I hope I will manage it successfully. I really appreciate your blog and information. I’m an American living in Panama (Central America) and will be riding through Norway this in late May and June. I’ve ridden all of north and south America and last year bought a bike in Ireland that I rode through Eastern Europe and the Slavic countries. I fly back to Frankfurt to pick it up in mid May, then head for Scandinavia. I plan on at least a couple of weeks going north in Norway. I hope we can meet up along the way… love to buy you a beer! Let me know how we can get together. Hi there! Sure we can meet, let me know your itinerary and we can go for a ride or just have a beer. Welcome to Norway! Great! Mail me on strifeldt (att) hotmail com and I’ll send you my details. My plans are generally pretty flexible (that’s my way of saying I never know where I’m going until I get there) but I’ll let you know as I’m approaching. I expect it will be somewhere around the 28th of May, give or take. What city are you in? Send me a private email with your contact info. Great that i found this blog, since my trip to Nordkapp should be on week 27 & 28. I will probably follow your step more or less. Probably will add Atlantic Road and Kjeragbolten also. Welcome! You’ll have a blast! BTW – Kongsberg? What’s your story? Thanks for sharing that spreadsheet! It was really useful. Hope you enjoyed your trip! Will try to spend extra time in the Lofoten, Helgelandskysten and do the Atlantic Road. One question I do have though, is as to what the normal etiquette is at the inland ferries. Are you expected to get in queue or should I just filter through and put the bike at the front? Your Sweden stay should be short. Not much to see 😉 Seems like your Norway experience will be good, though, given the places you want to visit. With regard to inland ferries etiquette: You are expected to go to the front of the queue as the ferry crew usually stash the bikes in the tighter spots not suitable for cars. I was wondering if it would be considered rude, but I hadn’t thought about the space consideration you mention. Especially on the Helgelandskysten we’ll have to tackle quite a few ferries, and I was wondering. Any time, Jasper, any time. I write for the American magazine Motorcyclist (#2 distribution behind Cycle World) and am trying to plan a rather spontaneous trip to Norway before the end of July. I wonder if you’d be willing to chat a bit via email? Sure, send me your details and let’s talk. A few, yes – mail me so we can discuss options. Ok – can you give me a hint: where can I find your email address? Sent you an email – might be residing in your “spam” folder. Great blog HP. My wife and I have visited the fjords on a cruise and fallen in love with Norway. Ever since I have wanted to return on the bike and now I have the information I need so thank you for that. I feel a 2017 trip coming on. Thanks Ian. It’s easy to get a crush on Norway when you see the fjords. I hope to welcome you to Norway in 2017! Just in early planning stages for August 2017 trip to Norway/Sweden – did you work for Huntswood Ian? Counting down the days, only 250 more to go before we land in Oslo, pick up the bikes and take the trip of a lifetime. You have been such a great help in planning this trip. I am sure you will have a blast! Norway is awaiting you! Seems like a great route. Welcome! Hans! This site is really handy, thank you so much. I’m coming over from New Zealand in June, planning to rent a motorcycle in Denmark and ride through Norway, Sweden and back to Denmark. Are you able to point me in the direction of any reliable rental places in Copenhagen? Cheers. Hi Holly – good plan! Unfortunately I do not know Denmark and Copenhagen well enough to suggest rentals – your pick is as good as mine. Hi Hans. I moved to Stavanger and brought my bike over from the UK. I plan to ride from Stavanger up to Lofoten in July 2017 (this year). Catch me on twitter. Great Blog. Cool! Welcome to Norway! Lofoten is truly great! Thanks so much for putting this blog together. It’s brilliant! I’m travelling to Norway (for the 6th time!) in July/August next year but it will be my first doing a ride there. I’m planning on travelling from Oslo to Kirkenes and back. Super excited! The information you’ve shared is really appreciated. Wow – sixth time? You must be quite a fan of our small country 🙂 It’ll be good to have you back, so welcome next year too! Having returned from Norway 3 weeks ago, I am already dreaming about going back. 19 days and 2500 miles was not enough to satisfy my need to explore the country of my ancestors. Hans you made this trip exactly what you said it would. “The trip of a lifetime” and I can’t wait to do it again. Thank you so much for all your help in planning our trip. Even with all the rain and cloudy days we had it was more than I had dreamed it would be. The guys can’t stop talking about the TWISTIES. Roads we will never encounter here in the US. Your suggestion for Route 500 & 986 from Lysebotn were my favorite roads. I am just bummed that we let the GPS route us away from 987. Our next adventure will include northern Norway, Loften Islands, & Nordkapp. Again thank you for all your help, even the suggestion for the Braastad XO was a hit, I am told it’s the best he’s ever had. Me and my friend are planning to take Nordkapp next summer and I wanted to ask about Norway roads. Especially theoretical average speed, time and actual time, speed. For example: from Alta to Tromso Google map shows 397km and time spent about 6h (or Tromso to Sørvågen: 546km and about 8h). As I know roads are very twisty in Norway therefore I am not sure how accurate google map is time wise? Can I believe Google map in that sense? Of course it might depends on the breaks during the drive. Hi there! I think it’s pretty accurate in actual riding time, but as you say: breaks, fueling, road constructions and whatnot will see you use a bit more time. I usually recon 1 hr pr 60 kms as an average. Hi Hans – A great blog you have here and some really good honest information – Im planning a trip in August for 10 days which was originally just Sweden..but I think I will be missing the main event if I don’t get to Norway. Hi there, Rich – and a warm welcome to Norway! So firstly: I think you are doing it the wrong way, tbh. You want to do Gothenburg – Norway coast up to Trondheim (FANTASTIC area! And you will hit all the great sceneries like the North Sea Road, the Hardanger Fjord, Geiranger Fjord, Atlantic Road etc), cross over to Sundsvall and return along the (boring, I must say) Swedish coast to Malmö. 12 days is sufficient, if you use Germany and Sweden as merely transport legs. I assure you – you will not regret doing it this way 🙂 Let me know your thoughts, and I can draw you a route, if you wish – although most are already posted in the “Routes” section. Or even better: Ride all the way to Hirtshals in DK. Take the 3.5 hrs crossing by ferry to Kristiansand – the do the coast up to Trondheim etc. I plan to piece my route together from your posted routes and will enter Norway from Finland and ride south, hopefully stopping at a rally along the way to have a beer or some akvavit. Will probably spend 2 1/2 weeks riding Norway (first 2 weeks in August?) with no particular plan beyond your recommendations. Somewhere in the south of Norway, I will have to speed up a bit to get across to Denmark and Germany in order to transit through through Poland to Lithuania and park the bike. Have to be at Heathrow in the UK on Thursday 30/08/18. Any recommendations for how to plan for the “bottom” of my Scandinavian adventure? I thought that 6000 km round Norway trip in 1975, round all the fjords in an old Merc with 3 other German teenagers over 3 weeks on rough grit roads in mostly rain and sleet in June -had cured me of Norway for all time. But then in 2009 I met an old love, still with his oldie ’78 Goldie GL1000-wives long gone- and then we kind of shacked up. At any rate, we went halves on that wretchedly seductive BMW K16 GT in 2011. Seismic shocks in Northern Germany, Holly changing from Honda to Be em double you. And failures and teething probs there was aplenty. But so were the shared miles, 150.000 km by now, divided between Goldie’s 23 k and two K16s, as we crashed the first one. Sudden low sun emerged from behind clouds, flying blind at 100 kmh, chafed a post, wobbled but not toppled, broke a few toes, but are here to tell the tale and to keep riding into the sunset, for now. So in 2015 we toured to destination Kopparberg in Sweden via Kiel-Oslo and up to Sognefjord, Lom and across the fells direction Mora, Sweden. A lovely trip and one to catch up on half a bygone century as regards me and Norway. So my driver Holly has a life’s ambition to head for the Nordkapp. Hm, been there, done that, got the reindeer bag – must I do this again? Memories of slow dusty grit roads loom again, dour old Norwegians, until we German teenagers twigged it might be something to do with those atrocious war crimes of our grandfathers…so who could blame those old Norwegians for not exactly clutching us, the offshoot to their bosom? Still, Norway was another country then, before the halcyon days of “oil”. Your itinerary and tips for touring are great, so we’ll follow those and benefit from your experience. Yes, you created a lovely blog, it’s great to see, that is a meeting spot for an international biking lot gathering here, and perhaps we’ll meet some at one or other Norwegian MC Treff. So thanks again for all the info and crazy winter pics! What a wonderful story! I would be happy to wish you welcome back whenever you find time to come. Actually, I do think you deserve a second go at Nordkapp. Let me know when you are heading towards Norway so we can meet for a beer or two.